Vettel on his way to being the youngest F1 Champion ever. Is it really over? I can’t believe it’s that time of year again. My least favorite season – it’s fall here in New England, but past the time when foliage is up. It’s getting colder. Leaves are covering my yard. It’s too early for any real snow. It’s dark when I leave the office in the evening. What’s not to like??? What really gets me down this time of year is the fact that the racing season is essentially over. Formula One crowned the youngest world champion ever just a few short weeks ago and Jimmie Johnson is king in the NASCAR world, again. GRAND-AM, ALMS and pretty much everything else we have TV coverage for has finished as well. Jimmie Johnson heads out on track and to his 5th consecutive title. There were many more exciting moments in racing this year. What’s your most memorable? What’s mine? It’s a tie for me – JJ’ 5th and Vettel’s 1st. Who’s better – F1 drivers or Sprint Cup Drivers? We are about to release the Williams FW31 at iRacing.com so I thought now would be a good time to revisit the age old question. . . . . Who’s better – F1 drivers or Sprint Cup Drivers? Is Jimmie Johnson, the four time reigning champion in NASCAR’s highest level series, better than Lewis Hamilton, F1 star and past champion? What is more difficult, driving a 3,450 lbs brawny stock car shaped like a brick with a gigantic V8 under the hood or driving a sculpted 620 kg open wheel car with a 2.4liter V8 that revs to 18,000 rpm? 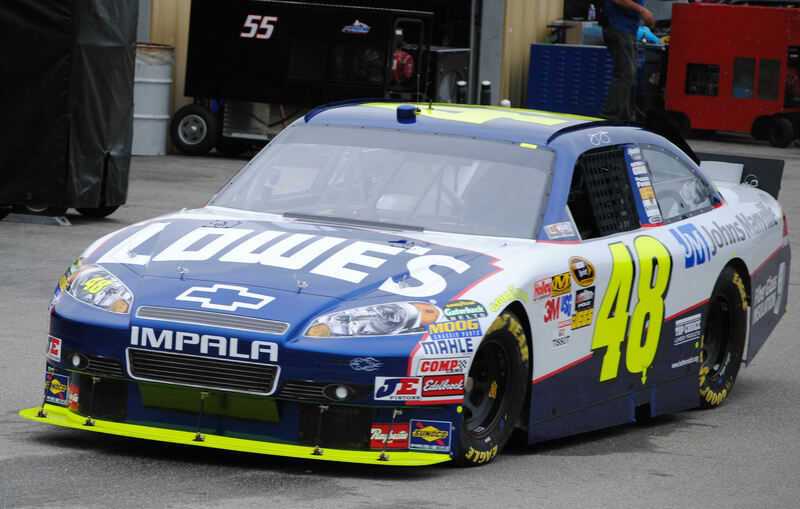 Jimmie Johnson at NHMS in September 2010. Sure there have been publicity stunts where drivers from each series swapped cars for a couple of laps, but they never really had enough time to get up to speed with the new cars. And what about the F1 drivers that moved to NASCAR like Juan Pablo Montoya? He was fairly successful in F1 when he ran in a top performing car but he has yet to see the same level of success in NASCAR as of yet. He also won a few races on oval tracks in Indy cars so he definitely gets the whole turning left thing. Does this mean that it takes more skill to race in NASCAR compared to F1? If that is the case how come the less successful NASCAR drivers aren’t jumping ship joining F1, surely they could win there if they are as talented as NASCAR commentators make them out to be. Let’s face it, winning at these levels is hard to do. You really are racing the best of the best (minus the back markers who seem to buy their way into the series). You need skill, equipment, luck, as well as a team that can back you up. In NASCAR, where the cars are so similar between the teams, JJ clearly has the edge on everyone right now. No doubt about his skill as a driver, Hendrick cars are fast, he somehow misses the ‘big one’ more often than not and he has one of the smartest crew chiefs and most reliable teams in NASCAR. On the other hand, Formula one puts more emphasis on the equipment since each team build their own car from the ground up. To win, drivers still need skill, luck and a solid team, but there is not much a driver can do if the car he is driving is inferior to the rest of the field. 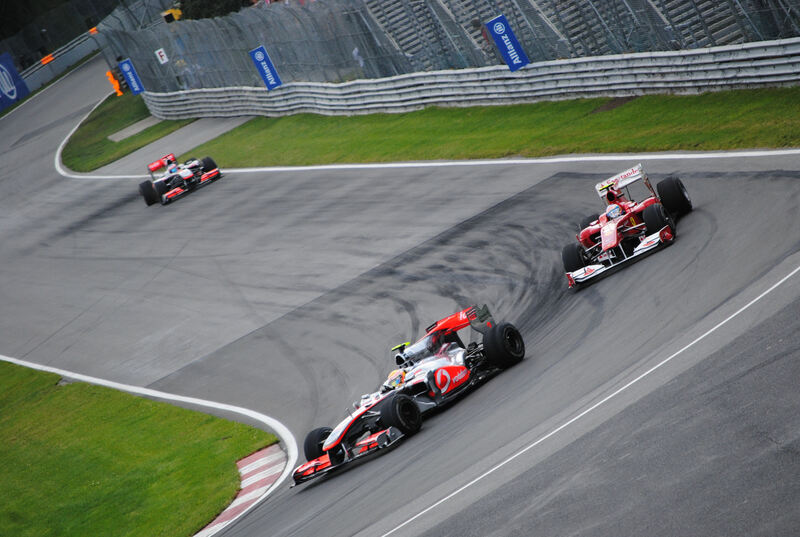 In F1, qualifying is crucial. It is very hard to pass due to current car regulations, although it is getting better, so drivers need to be able to turn that ‘golden lap’ when the pressure is on. 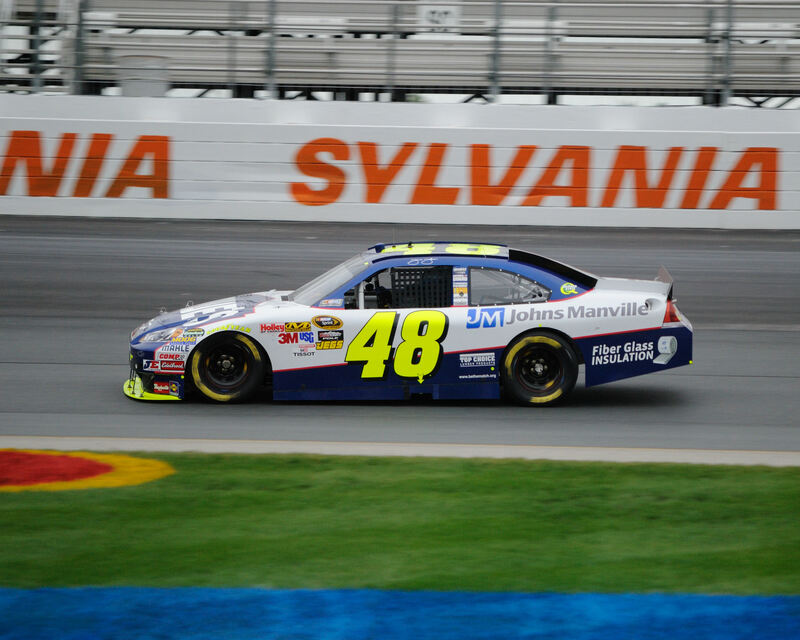 In NASCAR, qualifying rarely selects the race winner – it is basically used to sell more tickets and ads on TV. Qualifying only matters for the few that might not make the field, and several of these guys don’t even plan to race the entire distance (maybe that is where Nick Wirth got the idea to design the Virgin Racing F1 cars with fuel tanks too small to complete a race). One might even argue that in order to win a NASCAR Sprint Cup race you first need to just survive the 300-400 laps before the final caution, and then race to the finish. Does merely surviving 480 miles at Daytona so you can race the final 15 minutes make you a more skilled driver than someone who has to race all out for an entire Grand Prix? So where does this leave us? NASCAR or F1? Remember, so far Jimmie Johnson won all of his championships without ever winning a race in which he had to turn right. I suspect we’ll never know for sure and we certainly won’t all agree who is better. My opinion is that F1 drivers are more skilled behind the wheel – they drive their cars on the edge at ten-tenths all of the time, race in variable conditions including rain and have so much less room for error with the fragile carbon fiber suspensions. NASCAR drivers, well none of that applies. Who thinks I’m wrong? Oh and by the way, this is not a debate about which makes better racing for the fans, I am saving that one for another blog entry.